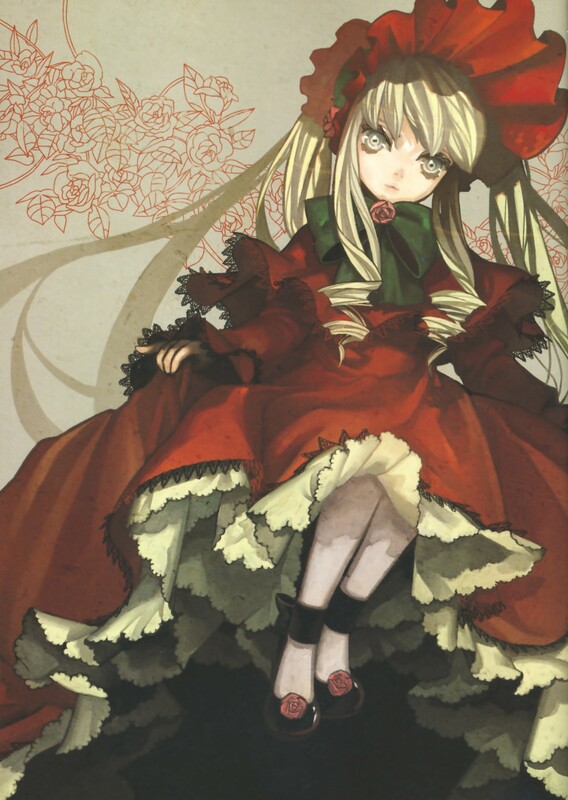 Shinku looks amazing! She never had been so doll like until this picture! Yeah, this picture does a good job of making her appear more doll like. She looks cool in this picture. She look like a rose to me. She looks real doll-like now. Shinku also has a real creepy stare on her face. Wow, this artist did a really good job with the dark touch to the character. Nice.